OAKLAND, Calif. (KGO) -- The Oakland Police Department is going to put cops back on horseback for community relations purposes. 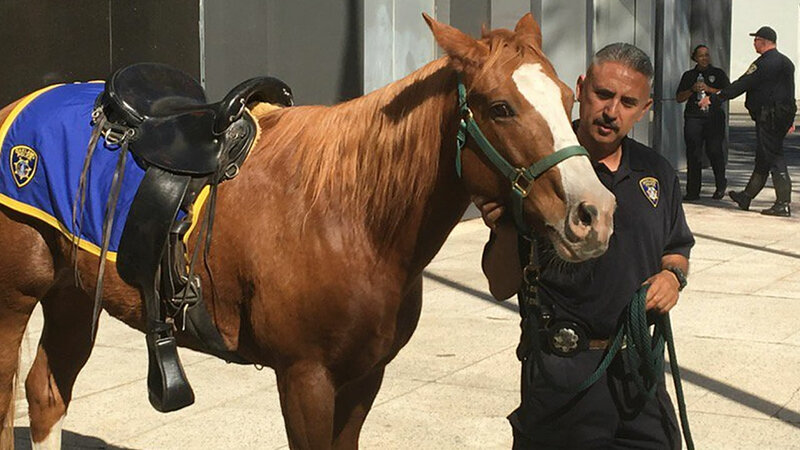 The department dropped mounted patrols a decade ago to save money, but Chief Anne Kirkpatrick says they've purchased a couple of horses and a couple of small ponies with donations. The horses will be used at ceremonial events and to interact with the public, rather than law enforcement, at least for now. The horses made their first public appearance on Thursday when they were trotted out to meet excited eighth graders from St. Anthony's school. Kirkpatrick says these events help kids that police aren't the bad guys and may even convince some kids to become cops one day. Click here for more stories about Oakland police.